In the article in our Overview section we gave some general advice on problems with bills and a few facts about water bills. Here we will go into more details about the situation with water bills. It is slightly different to the other utilities in that there are government rules that are meant to prevent people having their water cut off because of the health risk associated with not having access to drinking quality water. The situation differs depending on whether your property is on a water meter or not. With a water meter it is possible to reduce your bill by using less water, but this isn’t an option if you are on a flat rate system. 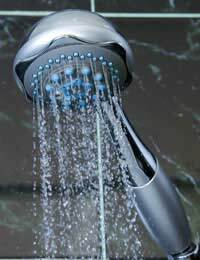 Refer to our article on Saving, Reusing and Cutting Water Costs for hints and tips as to how to do this. It is also important to watch that there's no overcharge when you are on a meter. We are not suggesting that this is a deliberate ploy of the water companies but like many other utilities they do not read the meters every time they are about to send out a bill so some will be estimated. The best advice, if you get an estimated bill, is to go out and read the meter yourself and then send the correct readings into the water company or department. This means that you won’t be racking up a huge bill if they have underestimated, and you'll be able to pay a lower bill if there's an overcharge from estimating too much usage. For people who aren’t on a meter the option to economise on water isn't available but, on the plus side, there's no estimated bills so less of a chance of being overcharged. You are told what your water bills are going to be at the beginning of each year so at least there are no surprises. The situation in England and Wales differs to that in Northern Ireland and Scotland, where privatisation wasn't carried out so government water departments still look after water distribution. In England and Wales the original water departments were converted first into water boards and then private companies who look after water distribution. These have since merged with each other and then been the subject of other takeovers with the result that many are now in the hands of private equity companies. This means that people in England and Wales are getting their water from companies being run by people looking to make profits for shareholders, often by selling off assets, rather than looking after customers or investment in water quality and sewage facilities. Privatised water companies in England and Wales had begun to cut non-payers off so the law was changed in 1999 to make that illegal. To get round this some water companies have begun to assume that properties are empty if they don’t receive replies to their letters, as they are allowed to cut off supplies to empty properties. It is imperative that you reply to any letters to avoid this happening. If you begin to fall behind it is important to keep the water company or department informed at all times, just the same as the other utilities. It's also worth paying a little each month or quarter even if you are unable to pay the whole water bill. This will show will stand you in good stead if the company tries to force action as you can show that you have been doing your best to settle the water bills. If you have genuine difficulty in paying for your water there have been recent changes to your rights and some people can apply to water companies for help with paying bills. The rules for qualification are complicated but you need to be on benefit of some kind, and either have three or more children in the house or someone is suffering from a medical condition that requires a quality water supply. Forms to apply for this service can be obtained from the water company serving your area. Finally, there are charitable trusts that the water companies contribute money to and you can apply to them for help. The water companies can out you in touch with them. They will pay water and sewage arrears for people in certain circumstances, but in order to qualify you need to be in dire straits, and not just with your water company or department, but with debts to other utilities and creditors. It's probably better to try and resolve the problems before they get to that situation.